At the beginning of the year I didn't expect to get as much done as I have managed to get. I really only had a couple of projects on my list that were kitted up and ready to go. 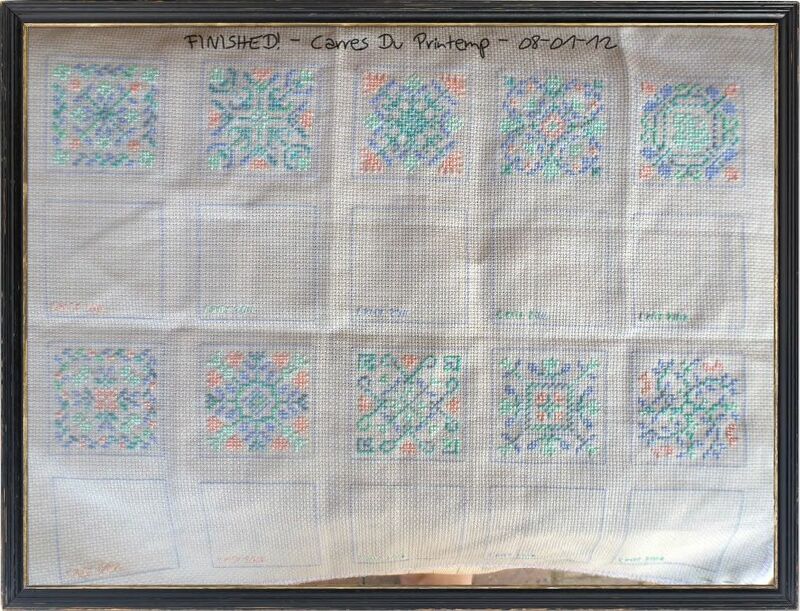 I had two projects I was really working on, one was Carres du Printemp by Jardin Prive. I finished the stitching not long into January but it took me almost 12 months to finally finish them as biscornus with little ribbons attached. 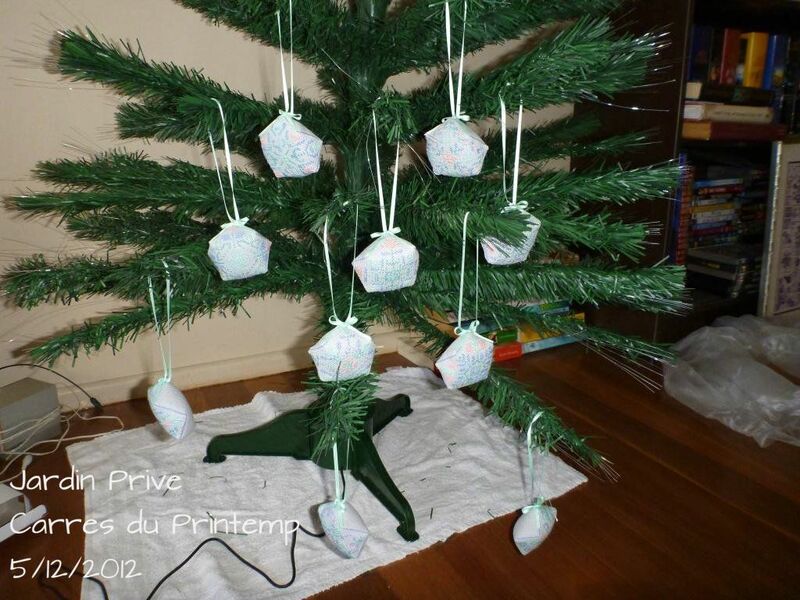 But they looked awesome on my Christmas tree this year! The other project that I had going this year was Boxers a kit from anchor. 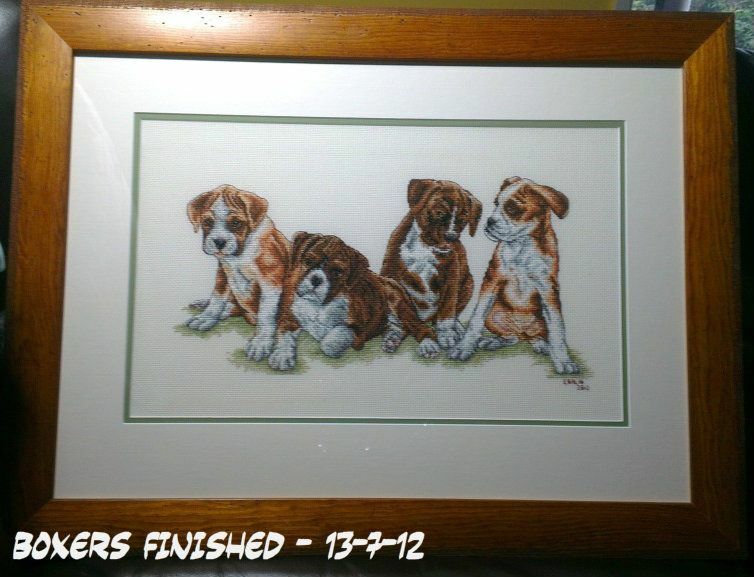 I had two and a half dogs done out of 4 at the beginning of January and managed to get it all done and framed by July. It now lives on the wall in my Mother's bedroom. I started this one in August 2011 so it took a little less than a year to complete. Of course I had a lot of new starts this year. 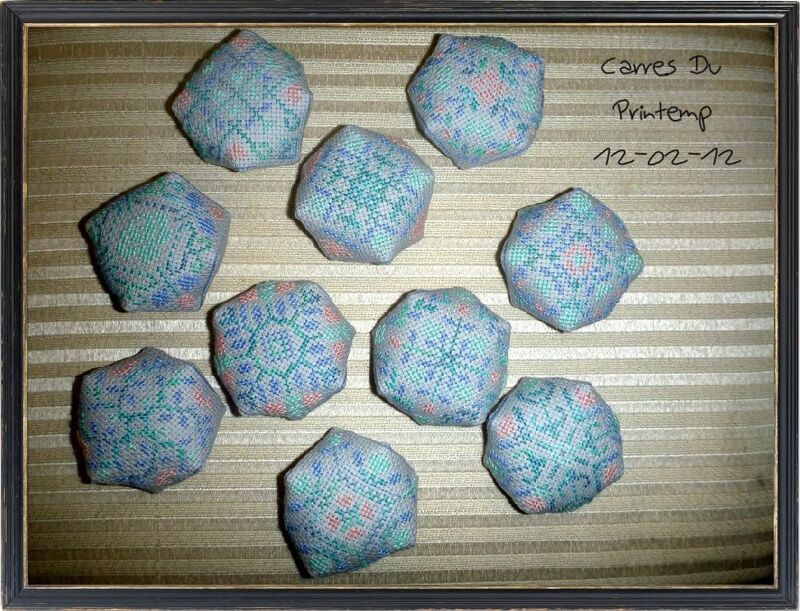 A number of random smalls but I won't show those ones off here. 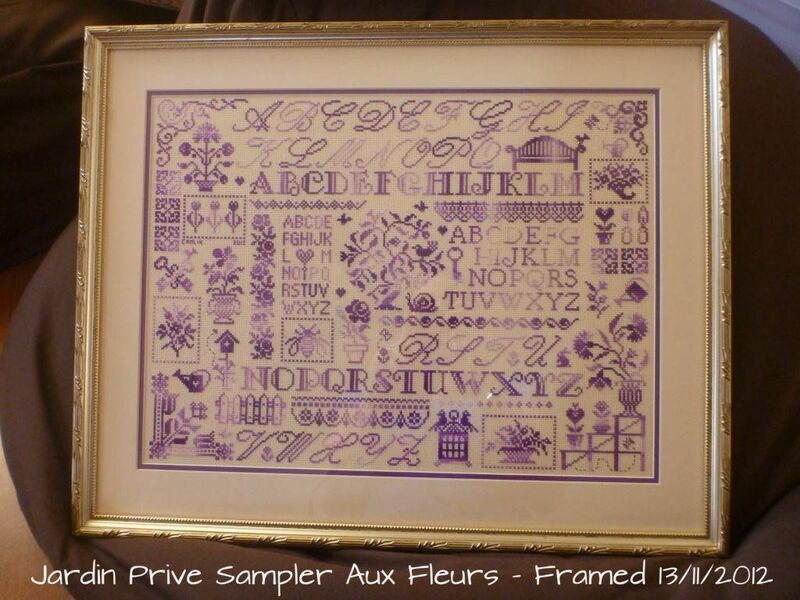 In March, I made a start on Sampler Aux Fleurs by Jardin Prive. I managed to finish it this year in mid August and finally got it framed in November! 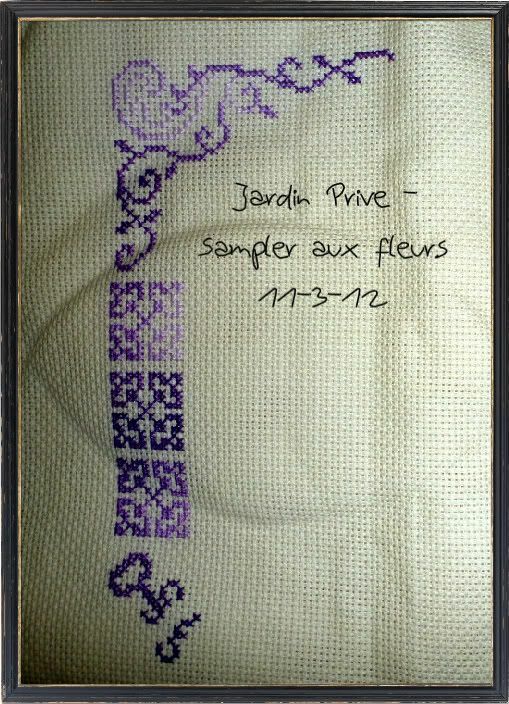 I used DMC varigated purple no.52 I had lots of fun with all the different designs and I found I love samplers. 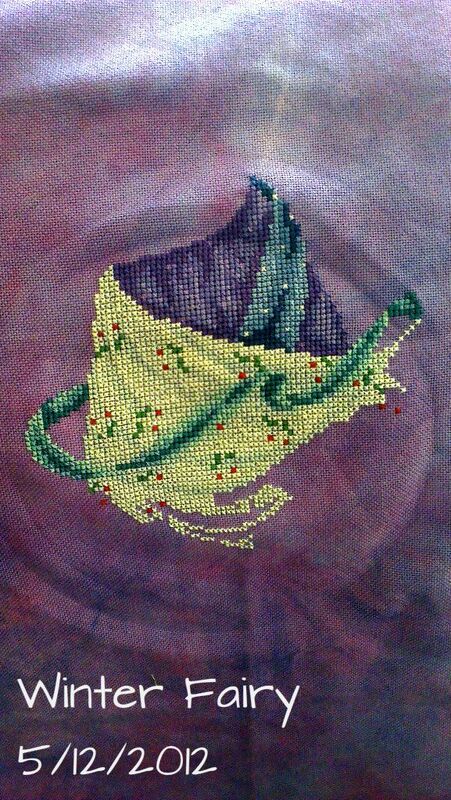 In January, I made a start on Afternoon Tea by Randal Spangler, my first HAED design. Although I started this in January I didn't finish my first page until May. I was so excited about a page finish and now I can boast 2 and a bit pages finished for the year. I love the colours in this piece even when it was mainly black the design and colours really just stand out. I hope to have another page finish not too many months into the new year! I started Winter Fairy by Joan Elliott and I have done quite a bit I think for the fact I might work on it one day a month at the moment. I should hopefully get a finish next year on this one as it isn't hard I am just not motivated with it. Too many other projects on time limits. 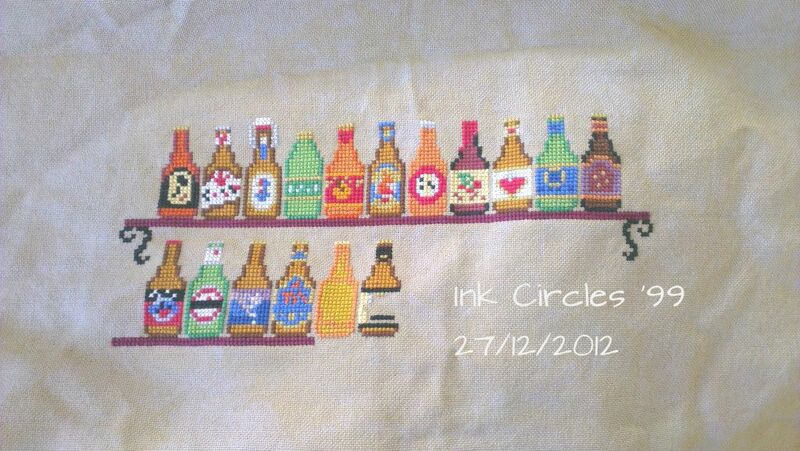 I also made a start on '99 by ink circles. This one is a secret project because I'm hiding it from Phill so I can surprise him. It was meant to be Christmas this year but it will be more like Christmas next year. I think that is now all the big projects. There were a number of little ones but that is too many pictures. Happy Stitching and good luck for next year! You've had a really great year - may the next one be just as stitchy and rewarding! Great progress this year! I'll be watching for Winter Fairy progress...I will be starting her soon so it will be fun to watch yours too! Wow, great progress and finishes. You made some great finishes this year! Have a lot of stitching pleasure in the new year! 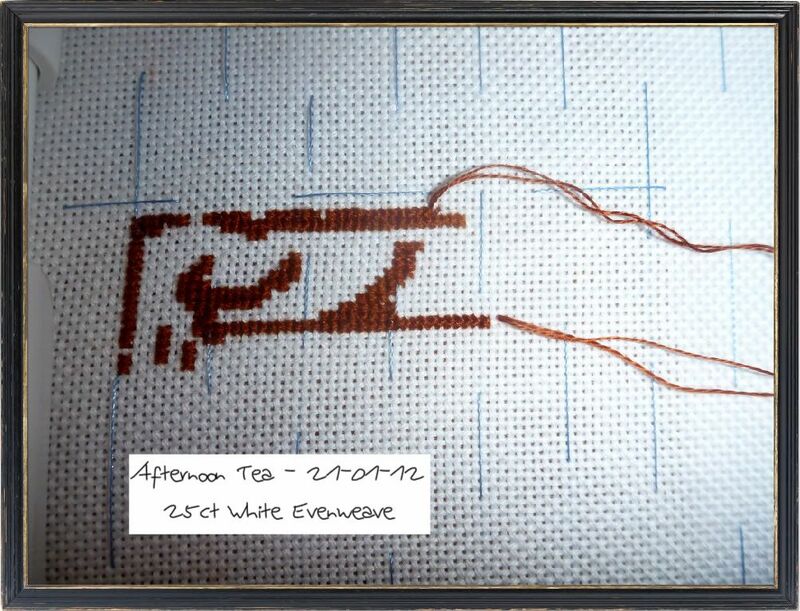 Lovely stitching, you've got loads done! Lot of great progress! 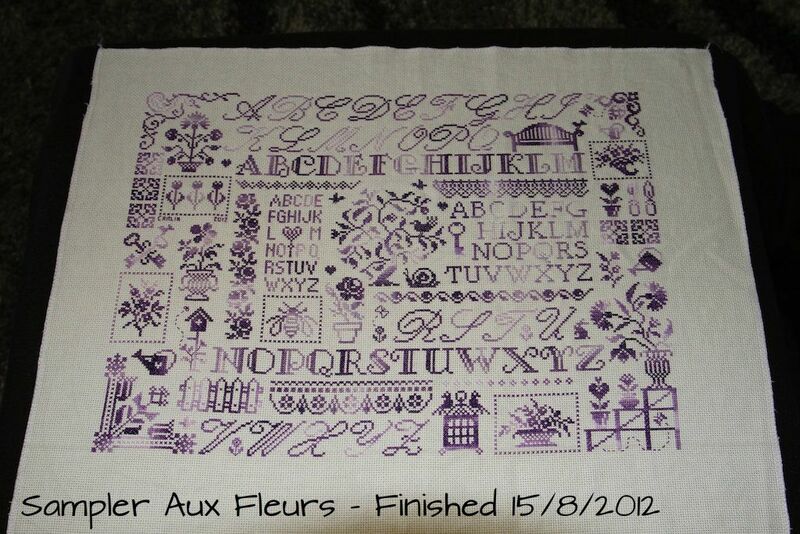 I absolutely LOVE the purple sampler! Hope next year will be good for all of us! Those little discounts are so cute. Great finishes for 2012! Great finishes and great progress on the other pieces. Grea round-up! It's so nice because I remember seeing all the progress reports through the year and joining in with the happy dances too. Everything looks so pretty but the boxers will always be a favourite. Happy New Year dear friend. I wish the New year brings you lots of happiness and joy. May God shower his abundant blessings upon you all year round. 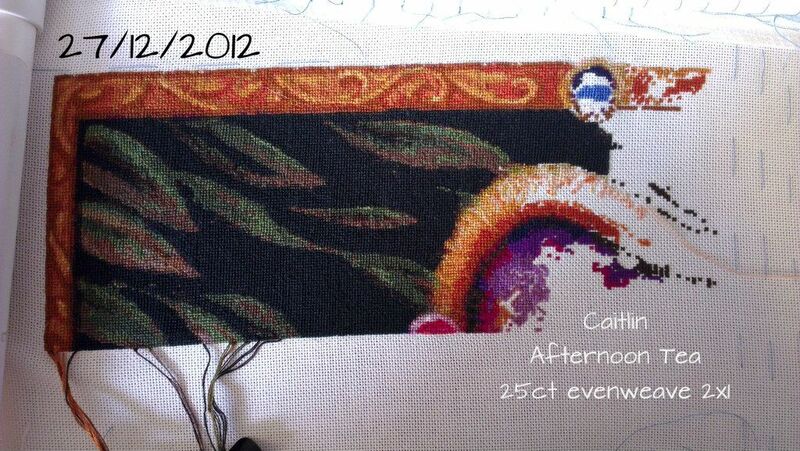 What a wonderful stitching year you had! 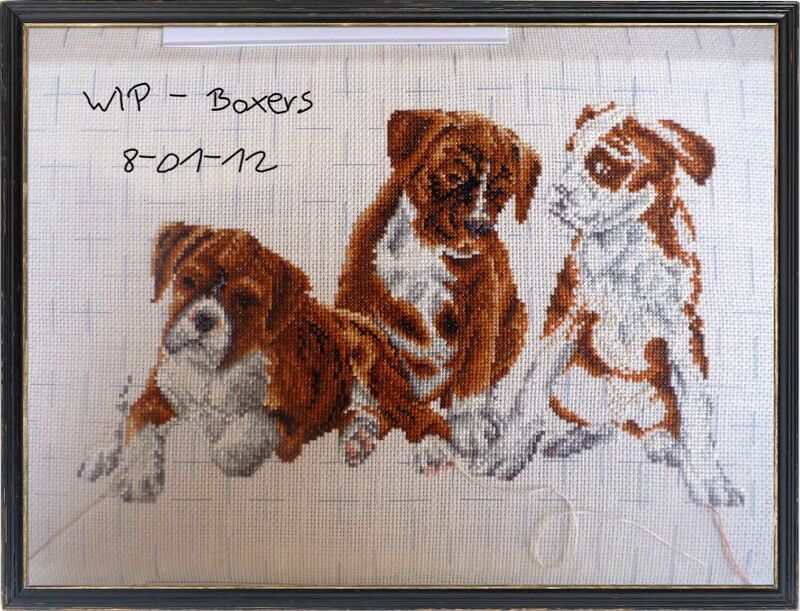 The purple sampler is gorgeous and the boxers look great! I'm looking forward to watching "99" come to life in 2013! 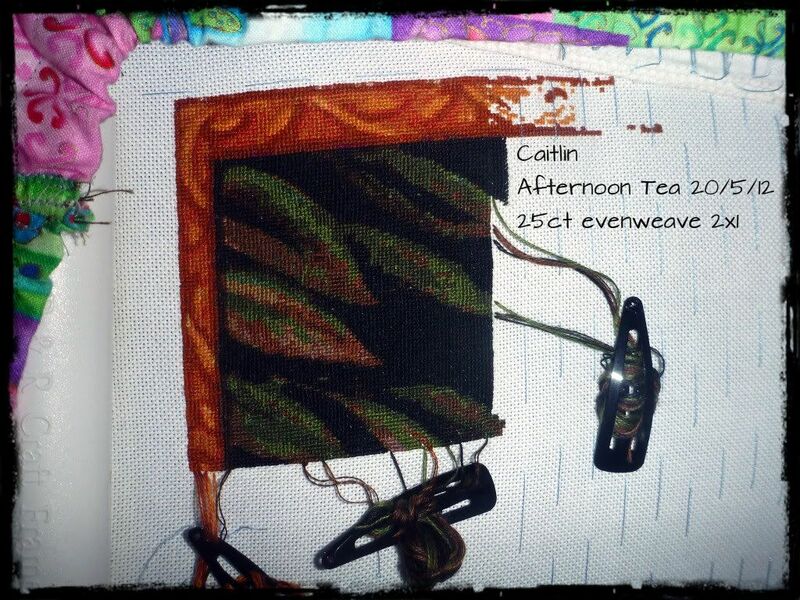 Just noticed your thread holding method in afternoon tea - brilliant. Much better than mine (run it through the cloth a bit away) - I'll have to adopt your way!